Sometimes you stumble across a portfolio where the artist only has a couple of comic based pieces, other times there can be just one work so brilliant, you'd risk being stoned to death by fellow art lovers for putting something else beside it. 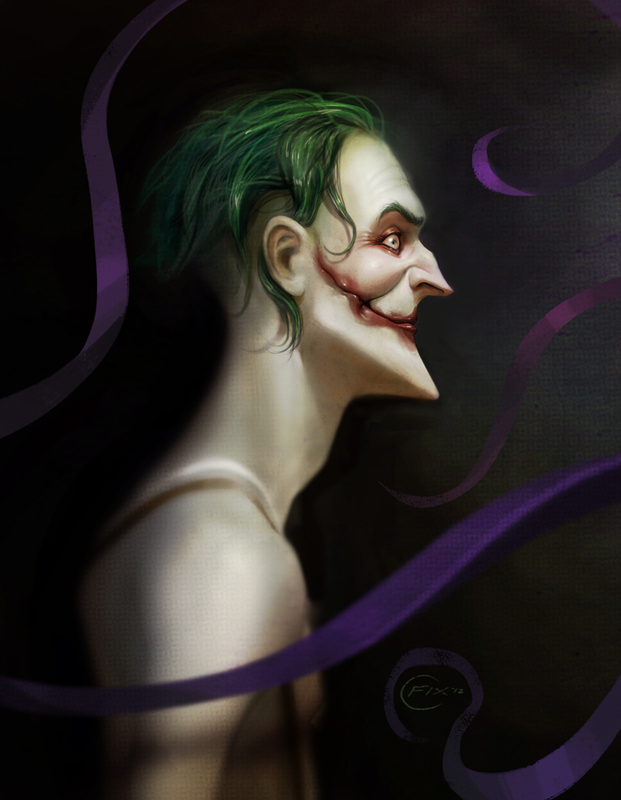 These are Random Works of Wow, and illustrating the point this week is Colin Fix with Joker. Can you believe I posted this while TV showed no one escapes Home Alone movies at Christmas? Maybe there is a rebalancing there. The skinny 60's gangster look, that grin and the ribbons of purple make for a Clown Prince of Crime that truly looks as insane and deadly! What do you think? Sound off below, click to enlarge or view more Random Works of Wow here. To see more of Colin's art, including a Swamp Thing and more, visit his website after the jump. Nice;), and so right on that one.